Ideally an elderly person and their family will consider hospice care well before they need to, unfortunately this is not always the case. Hospice care remains an excellent option for those who want effective in home health care during the final stages of life. Here are 5 tips for anyone to consider when trying to decide if it’s right for them. The subject of end-of-life care will never be the first thing anyone wants to speak about. Unfortunately, this fact causes too many people, both in the medical profession and in the family, to put off the difficult conversation. For a senior in home care needing a hospice referral, it can put undue strain if it comes far later than it should. Those who are trained in home care services can think a little further ahead so the right decision is made in a timely manner. However, they can only do so much in making a patient more comfortable, so acceptance is truly key to choosing the best path. Guilt is a common problem during this time. Doctors may feel guilty because they weren’t able to cure a patient or that the patient won’t receive the right care if they leave while family members feel guilty for not doing more to tend to their loved one’s needs. It’s necessary for everyone involved in a home care service to reconcile these feelings though, incase hospice is necessary, it’s not overlooked until it’s too late. Emotions are generally what stop people from taking action at this time as practical matters can be too difficult to weigh. How much attention does the person in home senior care need in the future? Is it something that hospice care can better provide? How much support can a patient expect to get when at the hospice — not just physical but also psychological and emotional support? For those receiving care services they typically have a spirituality or religion they need honored with special rites or services. Hospice care is designed to do all of this, although every worker and agency can have their own interpretation of what that means. 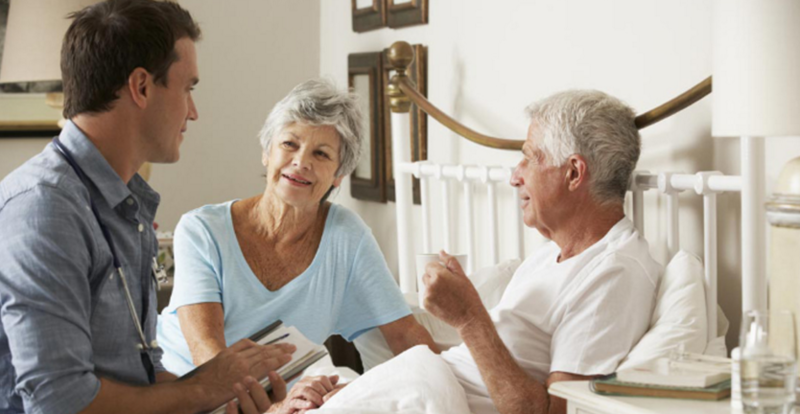 Understanding exactly how hospice care functions and what the elderly person can expect can take the mystery out and clarify whether or not the person will benefit or not. The truth is that hospice care is not necessarily just for those in home care — it’s equally meant for family and loved ones to cope with grief. There are only so many people out there who can do this job on a daily basis, and no one takes a job in senior home care unless they have the ability to deal with what end of life really means. These are the same people that provide the invaluable support a family just may need to get through everything without too much damage. Every person is different, but generally hospice is covered by Medicare and it alleviates the need to do a lot of paperwork and other practical concerns. It can leave family members the opportunity to spend the time they need to spend with their loved ones in a home health service without worrying about the costs and practical matters. If a person is looking for support at every angle at this time, then hospice may just be the best option available. Select Home Care in Westlake Village is a leader in offering premier 24 hour care, hospice care, dementia home care, and companionship cares for seniors. Trusted by healthcare professionals, Select Home Care serves a vital role in helping people live more independent lives outside of institutions and keeping them closer to their families. For more information on tips on hospice care for seniors or about Select Home Care’s senior care services please call 800-993-1657 or visit selecthomecare.com.